This entry was posted in Company Info, Plumbing, Water Heaters and tagged contests, San Diego, water heaters on June 6, 2013 by . My Plumber San Diego is a plumbing service with a three-decade history in the San Diego Metro Area. They’ve built their business around giving good advice, top-quality service, and getting to know their customers’ needs. With proper maintenance and a little bit of luck, a hot water heater can last a long time. How long? Well, that’s what My Plumber San Diego wants to find out. The winner of the San Diego’s Oldest Water Heater contest will win a 40-gallon hot water heater, and everyone who enters will receive a $100 off coupon on a new water heater. “We are very involved in the local community, and this contest is a great way to get out and give back to our loyal customers,” explains My Plumber San Diego’s owner, Franco Testa. Plumbing technicians will come to your home to take a picture of entrants ‘vintage’ unit and write down all the necessary information to enter it in the running for their chance to win a free water heater. Hot water heaters have an average lifespan of about nine years, but sometimes they last much longer. 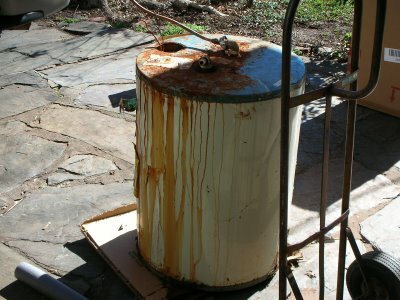 Got a contender for San Diego’s Oldest Water Heater? Go to the My Plumber website for details and how to enter. The contest will run from June 10 to July 12 and the winner will be announced July 21 – 27 on https://myplumberca.com, so act quickly and contact My Plumber San Diego today. My Plumber San Diego, LLP was founded on the principles of excellence, diligence and customer service. My Plumber of San Diego is an active part of the community with ties that run deep in North County, East County, and South Bay. They offer these communities repairs and installations of plumbing services as well as installation, service and maintenance of heating and air conditioning systems. For more information, please visit https://myplumberca.com.